Explanation: The Spirit rover attacked Mars again in 2005 September. What might look, above, like a military attack, though, was once again just a scientific one - Spirit was instructed to closely inspect some interesting rocks near the summit of Husband Hill. 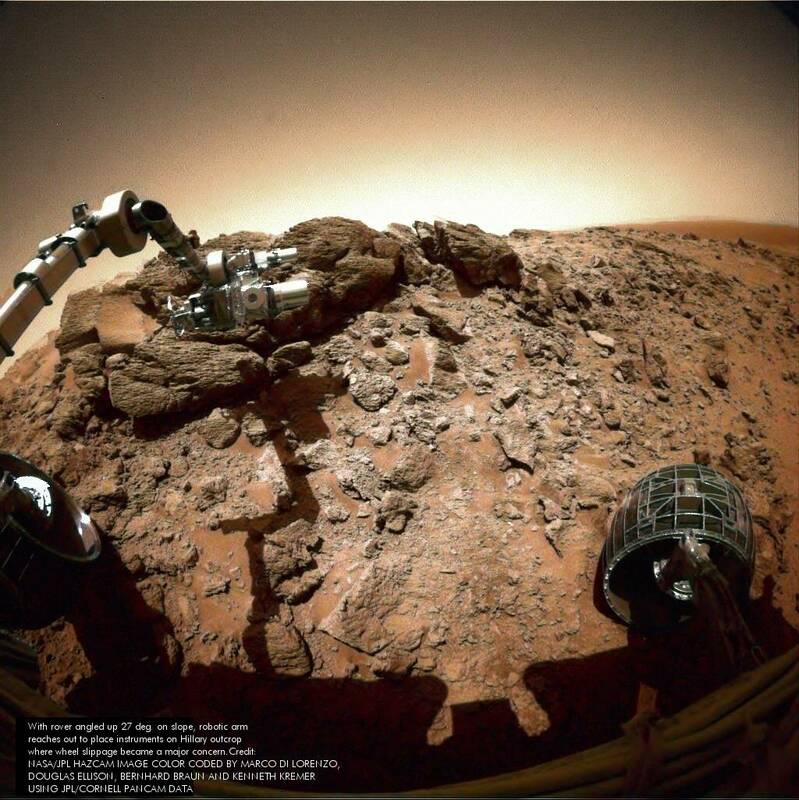 Spirit's Panoramic Camera captured the rover's Instrument Deployment Device above as moved to get a closer look at an outcrop of rocks named Hillary. 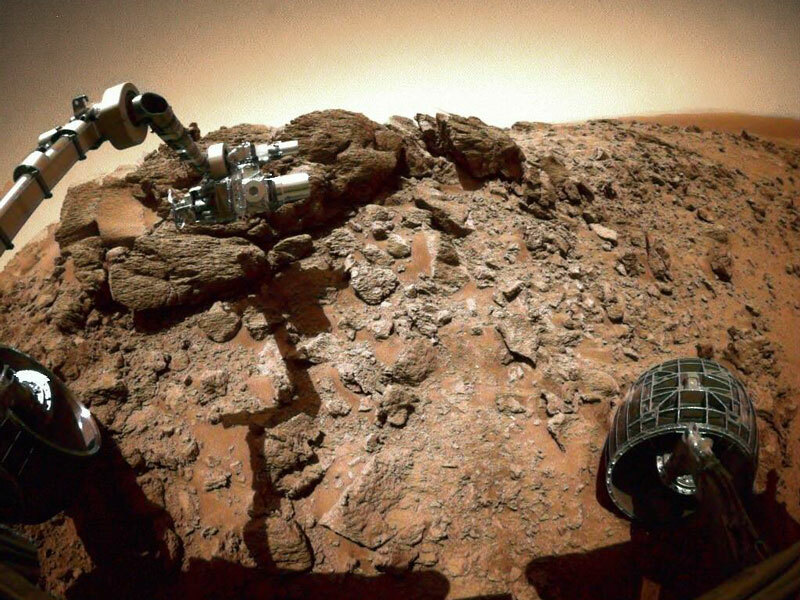 The Spirit rover, and its twin rover Opportunity, have now been exploring the red planet for over three years. Both Spirit and Opportunity have found evidence that parts of Mars were once wet.